TAKE a deep breath. Could you hold it for 10 seconds? 20 seconds? 30 seconds, maybe? But probably not for more than a minute, right? In Haiti, an island nation filled with rocky terrain, a drive to or from a hospital can be a challenging 5, 6 or 7 hour ride! Sometimes impossible. Patients often don’t receive medical assistance in time and they commonly die from treatable conditions like asthma. Fredlin Robert could’ve been one such tragic case, had it not been for Haiti Air Ambulance. 9-year-old Fredlin regularly suffered from asthma attacks and on one Saturday his symptoms took an extreme turn. 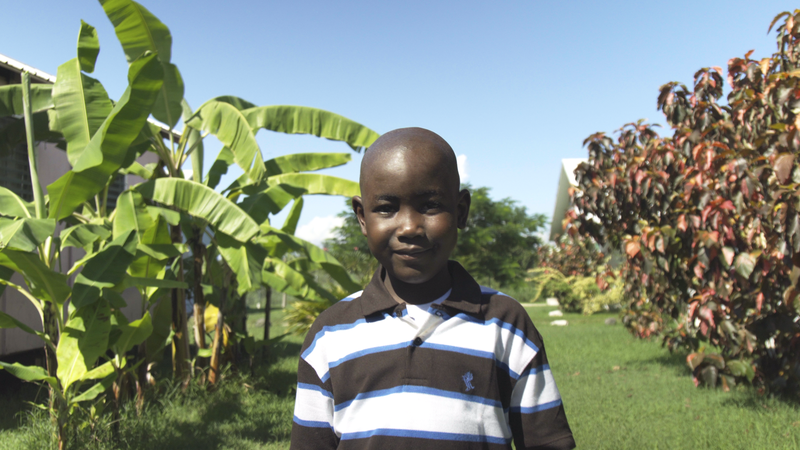 His parents frantically rushed him to the nearby Haiti Health Ministries clinic in Gressier. As soon as he arrived, the clinic knew he needed immediate transport to a hospital that could provide a higher level of care for his condition. But, because of thenearly four hour drive it would take to get toPort-au-Prince, there was no way he’d make it in time. The clinic called Haiti Air Ambulance, the first and only helicopter emergency medical service in the Caribbean country. Haiti Air Ambulance flies patients like Fredlin daily and can reach their 70 partner hospitals throughout the country withinan hour. And the normally four-hour car ride to Haiti Health Ministries is usuallyonly a 10 minute flight. Claudel and the crew gave Fredlin medication and oxygen and intubated him before putting him on the helicopter. The boy’s father also jumped onboard while his inconsolable mother stayed behind. Fredlin’s father watched with tears in his eyes as the EMTs continued to treat his son. They reached the hospital in only 10 minutes. A few days later, Fredlin had fully recovered. And his medical emergency didn’t cost the family a dime. That’s because donations make it possible for Haiti Air Ambulance to save lives. Every dollar raised goes directly to the non-profit’s lifesaving services and covers medical costs for patients who can’t afford the expense. Every time Haiti Air Ambulance flies children like Fredlin, one of Haiti’s first pilots, or a teacher or scientist are saved.